Taxi | Irene Abdou Photography, LLC - Travel. Lifestyle. Documentary. NGOs, Development & Public Health. 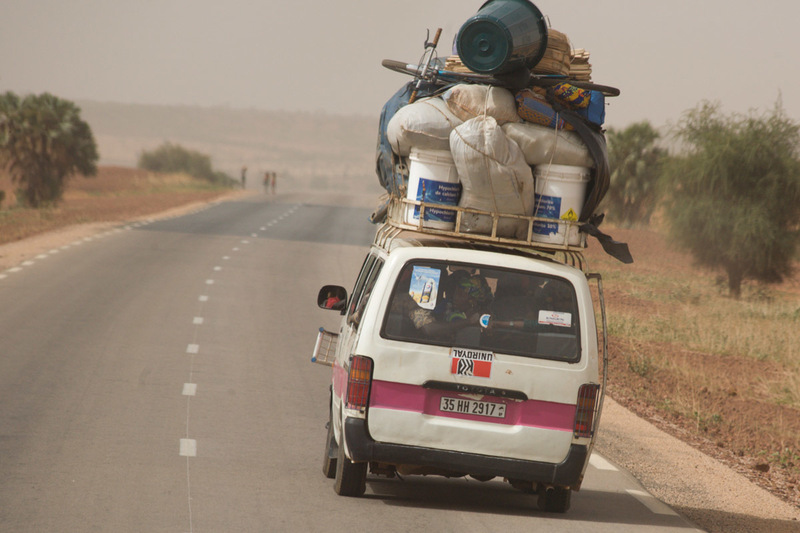 Photo of a "bush taxi" on the two-lane, international highway from Ouagadougou, Burkina Faso to Niamey, Niger. The taxi will stop anytime on the side of the road to let passengers on and collect new ones. The 17-seater vehicle can be stuffed with up to 26 people.